1, Q: How many doors can the device control? 2, Q: Which Wiegand format is it ? 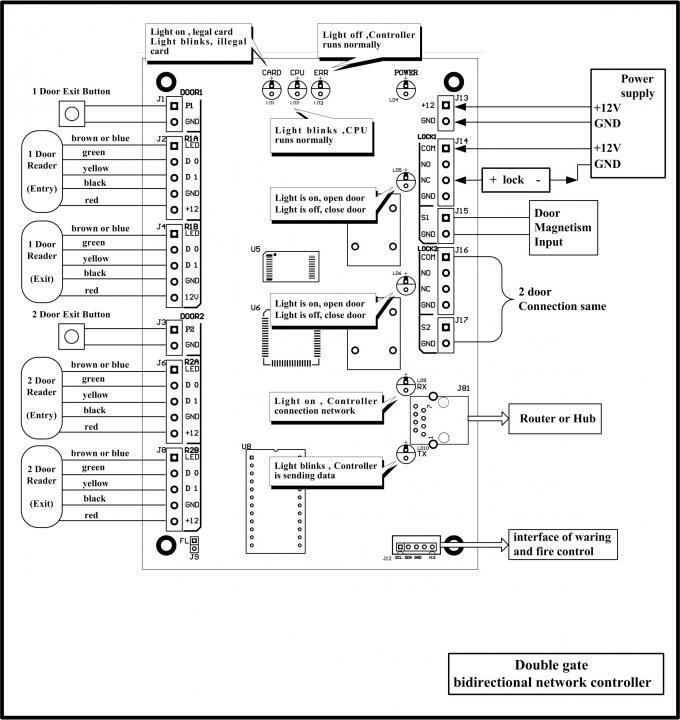 A: It supports Wiegand 26 bit. Wiegand 34 bit can be customized. 3, Q: How to login in software? 4, Q: What is the password for extended function? 5, Q: Can i use other language besides English? A: Sorry,SP-N series only support Chinese & English. SP-G series support other languages.But you need to translate by yourself. 6, Q: Can you offer SDK? A: Sorry.SP-N series don't have SDK. SP-G series have. 7, Q: I need record in two-way,in and out. Is it possible ? A: SP-N1,SP-N2 both support two-way record.SP-N4 supports one-way record only. 8, Q: What kind of cables should i use when installing? 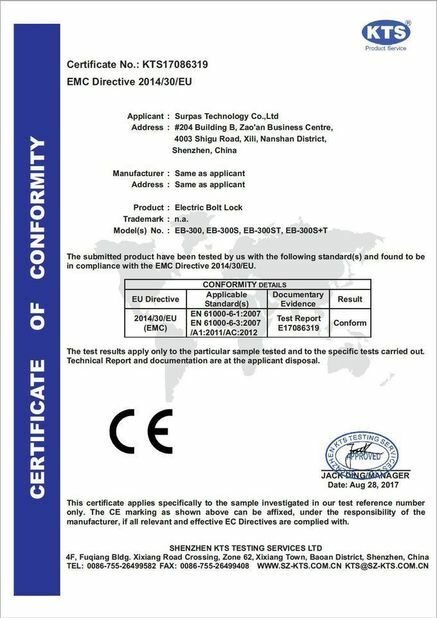 A: ①The line of electric lock to controller, it’s recommended to use two-wire power line, the cross-sectional area of 1.0 mm2 or more. If over 50 meters, it’s considered to use more thick line or multiple parallel, the longest no more than 100 meters. 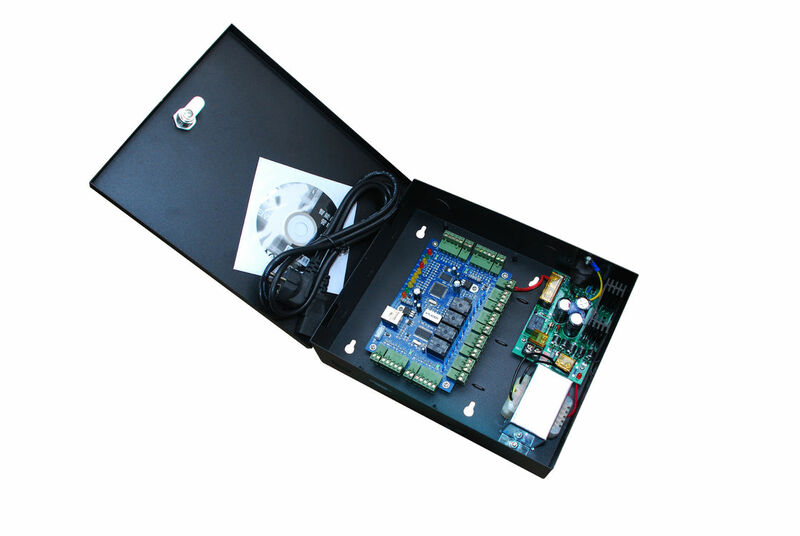 The line of door sensor to controller, it’s recommended to use two-wire power line, the cross-sectional area of 0.22 mm2 or more If no need to know door open/close status online, or door long-time not close alarming, either illegal intrusion alarming, interlock function, etc., the door sensor can be without wiring.②The line of card reader to controller, the cross-sectional area≥0.22mm2,CAT.5 or UTC are both applicable. If no need to identify the valid or invalid card by the feedback of sound and light, it can be without connecting BEEPER (blue) either LED (brown). It’s better twisted-pair for lines Data0 and Data1. The distance of card reader to controller can’t be over 100meters,proposed within 80 meters. If the distance exceeds 50meters, it’s proposed to bold or share as aggregate to provide power supply to card reader, which is helpful to improve the functions of card reader.③The line of button to controller, it’s recommend to use two-wire, the cross-sectional area 0.221mm2 or more. 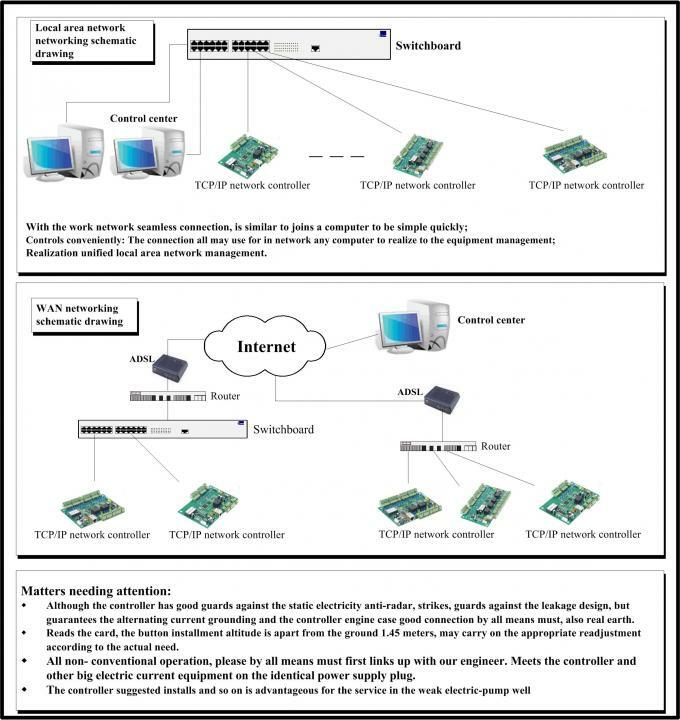 ④TCP/IP communication line: It’s the same with computer network wiring, controller connecting to switch or HUB with ordinary network cable, distance less than 100meters. The longer distance, the higher quality requirement of cable.⑤220V AC power cable: three-wire power supply, the cross-sectional area 1.0mm2 or more. It’s required that power supply must be grounded to prevent from power interference.